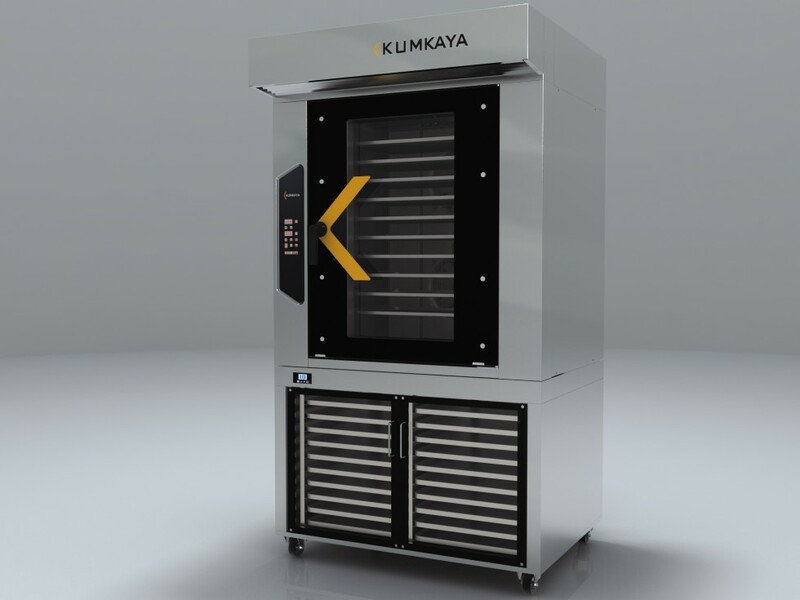 Mobile convection ovens of Kumkaya production are intended for baking of extensive range of bakery and confectionery. 10 baking sheets of 60х40 cm in size are placed in the working chamber of the oven. If necessary, the oven can be equipped with a fermentation chamber for proofing of dough pieces. Big fan will provide hot air circulation and uniform temperature distribution for uniform baking products. The equipment is completely made of stainless steel, durable and hygienic material. Excellent isolation allows to reduce electricity consumption significantly. The decorative and attractive design allows to install the furnace in close proximity to buyers.